Shopping for DC Comics Mini-Figures? Don't judge these villains by their size! 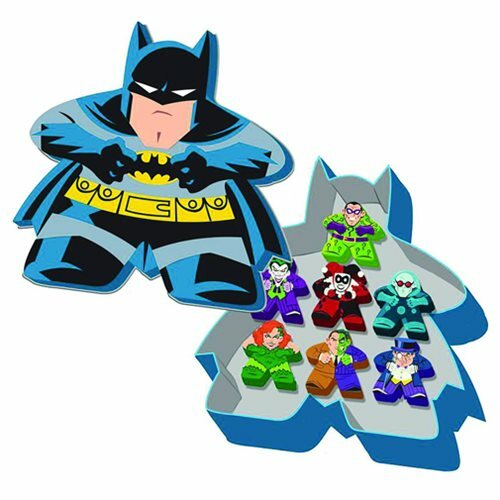 The Mighty Meeples Batman Rogues Gallery Tin includes 7 of the Caped Crusader's greatest foes in a Batman-shaped collectible tin. Get ready to go rogue with 1-inch tall wooden figures of Joker, Harley Quinn, Riddler, Mr. Freeze, Poison Ivy, Two-Face, and Penguin!